Or am I an idiot? The highlighted questions were the only thing I had trouble immediately figuring out on the SF GUI. For ages I thought they were questions I had viewed, then no, maybe answered? No... Finally I took the time to work it out. 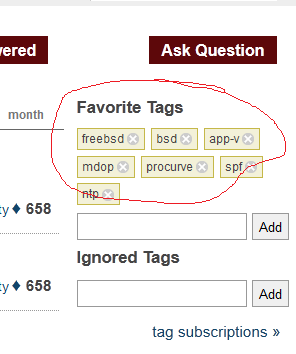 Maybe also highlight the tags that are causing the question to be highlighted, with a different colored border for example?